Check out the Northeast Wisconsin Dog Show Classic, presented by the Packerland & Manitowoc County Kennel Clubs! Classes are also offered. Dogs, just follow your nose! Now offering Scent Work classes along with our beginner or advanced Nose Work classes! Check out our AKC Spring & Fall Agility Trials! We offer beginner & advanced agility classes! 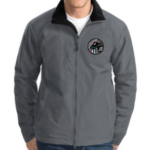 Have you considered a field membership at the MCKC? We have an impressive 198 acres near Valders, WI for field training! 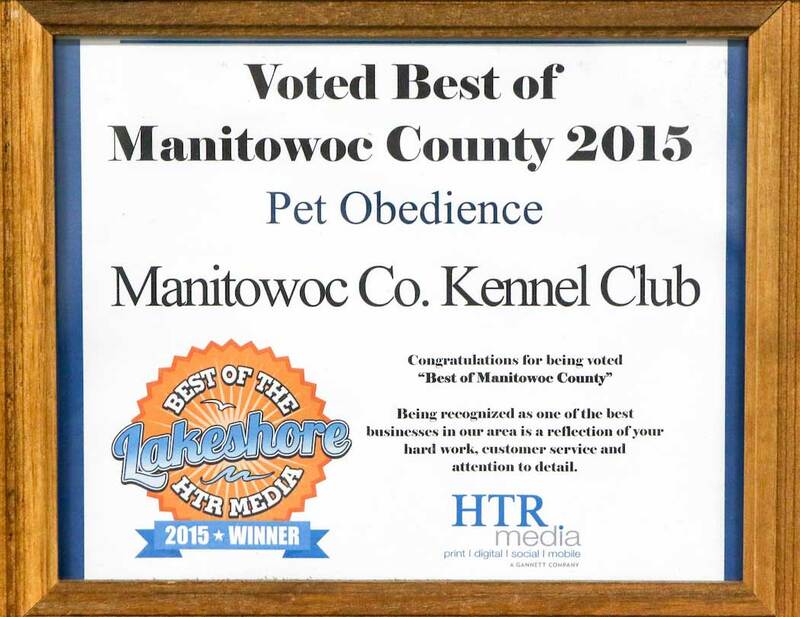 Voted "Best Pet Obedience" of Manitowoc County (HTR Best of the Lakeshore 2015 & 2016). We welcome beginners, advanced, purebreds & mixed breeds! This sport works well for all schedules and all types of dogs! Check out our tracking class to get started! 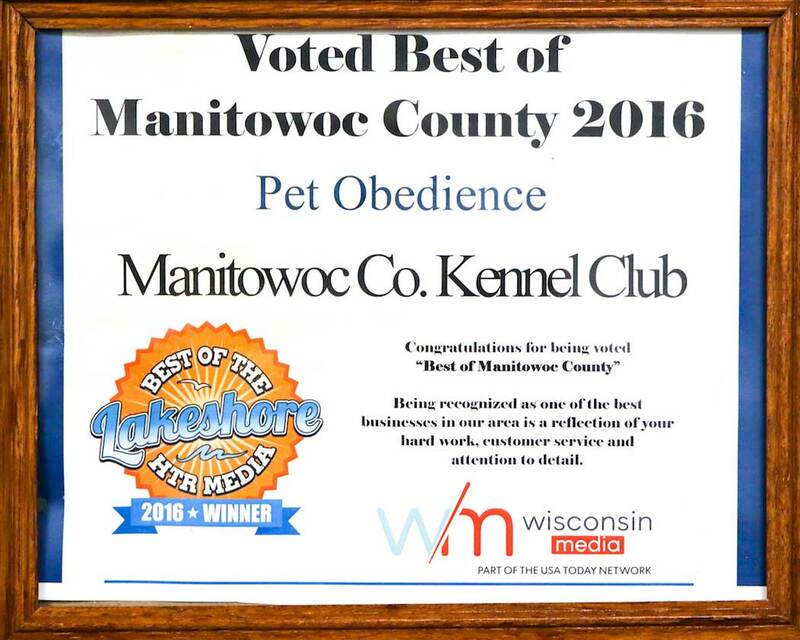 The Manitowoc County Kennel Club (MCKC) is a non-profit organization founded in 1921 and is a member club of the American Kennel Club (AKC) dedicated to promoting the sport and breeding of purebred dogs. As a club, we strive, at all times, to show good sportsmanship and keep in mind that the good of the breed comes before any personal benefits. MCKC is the only club in the United States which offers all three facets of the AKC dog world, i.e., Obedience, Conformation, and Field. We also offer Agility and Tracking. Our training facilities include an enclosed building on the north side of Manitowoc, as well as 180 acres of land with 4 training ponds located three miles west of Valders along the Manitowoc River. Both grounds are available to the general membership who satisfy the qualifications for usage. We also hold monthly general meetings at our Manitowoc grounds on the first Wednesday of each month at 7:00 pm. Obedience, correction clinics, conformation, agility and retriever classes are held at various times of the year for members and the general public. MCKC also hosts many events throughout the year, which include Obedience Shows, Conformation Shows, Agility Trials, AKC Sanctioned Field Trials, Licensed Field Trials and Licensed Hunt Tests. 7 Titles Earned at Oshkosh Rally Trials in December!